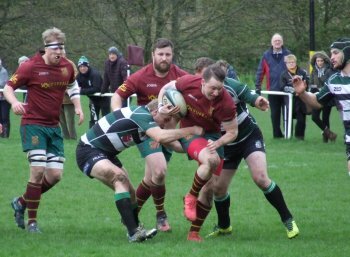 Heath ended their best season as members of Yorkshire 1 with a fine win over champions York at North Dean in a game where they had control for most of the time scoring four converted tries to clinch maximum points. 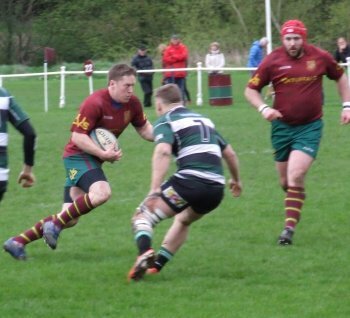 Both sides showed changes as the season took its toll with brothers Richard and Lee Brown and centre Jordan Bradbrook out injured for Heath and York blooding some of their fringe players in preparation for next season. Into the Heath side came Si Brown and Jordan Moana, who have had stints on the bench, and Dave Skinner with Martyn Barnes and Michael Reynolds filling the vacant slots on the bench alongside Chris Piper. 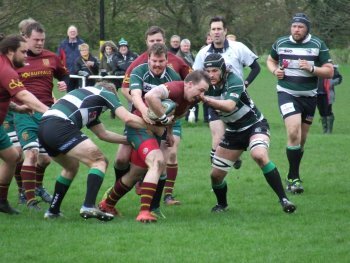 York kicked off but Heath made a mistake resulting in a scrum however, Jordan Moana and Jason Merrie were able to get hold of the ball and relieved the opening pressure from the visitors. Heath worked their way back into the game and when Ezra Hinchliffes penalty kick found touch 10 metres from the visitors try-line Matt Beasty won the line out and Heath drove forwards. 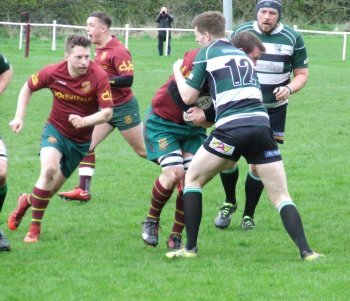 York held firm and cleared but Heath continued to press with the home forwards setting up the ball for Peter Birkett to open their account with a try, converted by Hinchliffe, and Heath led 7-0 with 8 minutes on the clock. York bounced back strong putting the Heath defence under pressure but when the well versed Si Brown received the ball his clever kick saw some electric pace from the winger to chase the ball down only for play to be brought back as he had put a foot into touch. 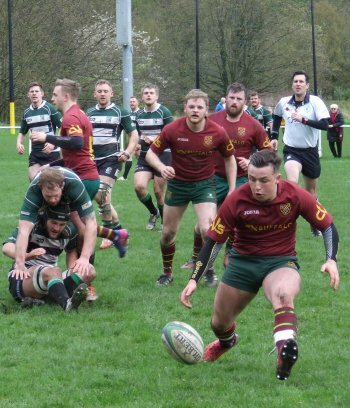 York continued to be patient, keeping hold of the ball, and they were rewarded with a try in the corner to pull the scores back to 7-5 with a quarter of the game played. Heath responded and when Chris Moore and Olly Cook linked up with some clever inter-play the visitors were put back under the cosh but it was York who began to increase the pressure on the home defence as they took control of the ball once again. From one attack the effervescent Si Brown intercepted and kicked the ball forwards. 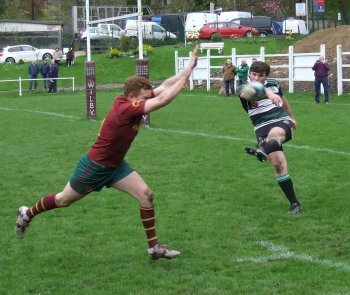 Olly Cook was in chase but York recovered and touched the ball down dead. 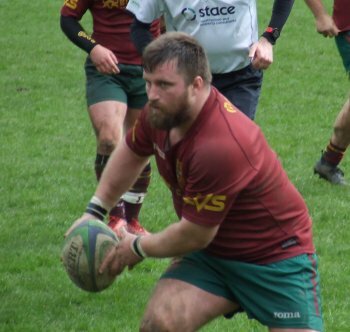 From the 5 metre scrum Alex McFadden and Ian Downsborough drove into the York defence and with Jordan Moana backing up he scored a converted try under the posts, 14-5 to Heath on 30 minutes. Chris Piper and Martyn Barnes were introduced to the game, as Cook and Moana took a break, and they were quickly into the action as both sides looked to add to their scores. 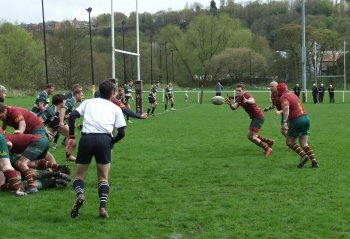 The pace continued and when Si Brown put in another excemplorary kick for touch Heath looked to add to their tally. 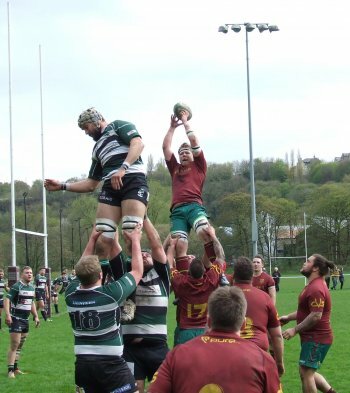 Jason Merrie won the line out but was held up as a try seemed imminent. Yorks clearance found Sam Pollard in perfect position and his clever cross field kick found wing Callum Harriett-Brown but his attempt for the line, and with the lively Cameron Ramsden in support, saw the visitors clear the ball to set up their own attack. The half eventually came to an end with both sides having put on a super show for the large crowd assembled. 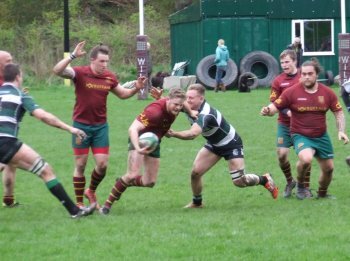 Heath began the second half with some aggressive play and when Jack Crabtree, Si Brown and Harriett-Brown linked up they put in Jason Merrie for a third try in the corner and with a superb conversion from Hinchliffe Heath led 21-5 with 45 minutes played. Yorks response was immediate scoring a converted try on 50 minutes to reduce the arrears, 21-12, as Jordan Moana replaced Dave Skinnner who had put in an excellent stint. Heath responded with the sophisticated Si Brown and lively wing Harriett-Brown linking again to set up an attack putting York under more pressure. Olly Cook replaced the injured Chris Moore as Heath pressed and when Jordan Moana picked up the ball 30 metres out no one expected him to score but he ran through a weary York defence with players bouncing off him which resulted in his second try. Ezra Hinchliffe converted 28-12 on the hour mark. Heath were playing with confidence. Michael Reynolds replaced Cam Ramsden and Heath re-shuffled their back line. This seemed to affect them as York took advantage and Heath were on the back foot. 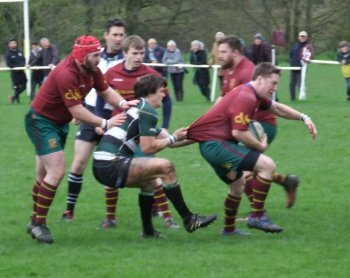 York went in search of a losing bonus point and when Chris Piper was sin-binned the Heath faithful began to worry about holding on. 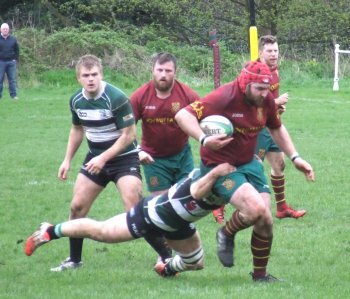 Jack Crabtree put in a huge clearance to set up an attack and when Heath won the ball brilliant inter-play involving Reynolds, Hinchliffe and the adept Si Brown, whose basketball pass to Jason Merrie was judged forwards with a try looming, relieved the home fears. 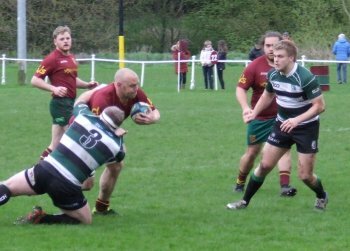 York re-grouped and went in search of a score but the weathered Si Brown put in a superb covering tackle to prevent the score. 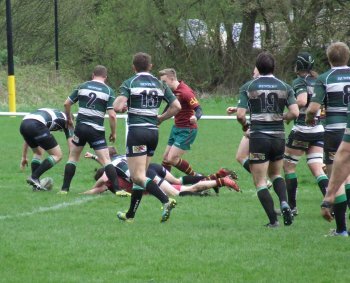 Yorks persistence eventually paid dividends and they scored a converted try to reduce the arrears, 28-19, but time was running out and Heath had won an excellent game. 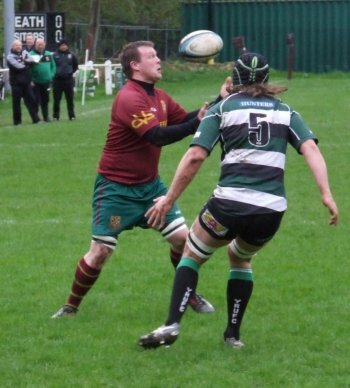 Man of the match must surely have gone to the battle scarred Si Brown who has indicated this was his final game after an illustrious fifteen years playing career. The rest of the players will surely be content to have a break from the pressures of Level 7 rugby but must be rueing their missed opportunities. To have won four, drawn one and lost only one against teams who have finished in the top three, York Scarborough and Middlesbrough, the last minute defeats to Beverley, which would surely have secured second spot, were hard to take but it was not to be and so we recover, respond and take up where we have left off when the season commences in September.